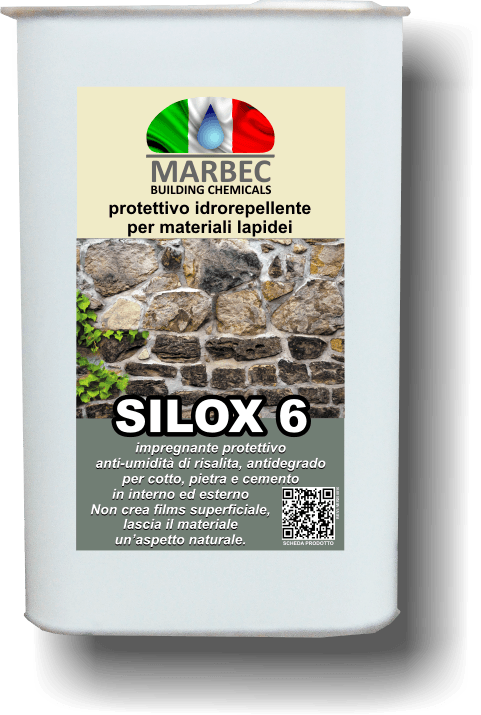 Strong scales and limestone remover detergent for the removal of cement grouts, efflorescences, calcareous encrustations, rust stains on stones with ferrous minerals. 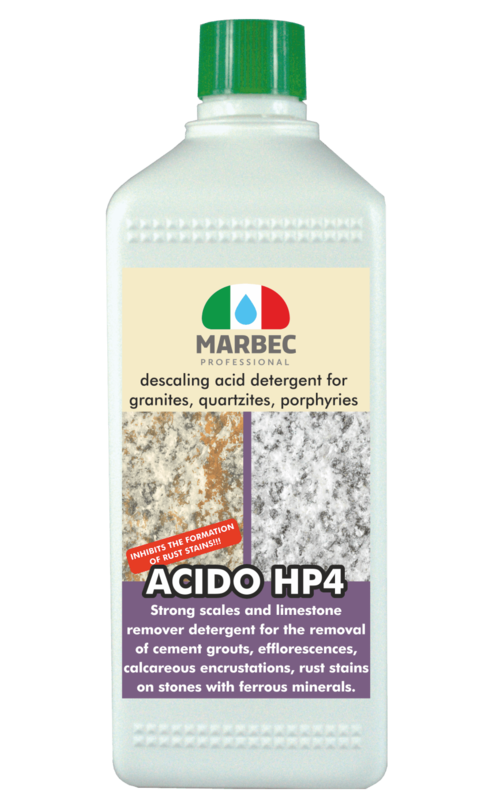 ACIDO HP4 is an acid cleaner specific for scales and limestone removal of stone materials resistant to acids containing iron and susceptible to yellowing: granites, quartzites, porphyries, crystalline schists. does not contain hydrochloric acid. can be used pure or diluted in water. The concentration of use must be determined in each situation according to the type of dirt, the quantity of residues to be removed and the nature of the material. • Diluted 1 part of ACIDO HP4 in 1 part of water: for washing where a normal descaling action is necessary. Spread the product on the surface and let it act for a few minutes. Avoid dripping and stagnating product. Rub the surface with plastic BROWN BUFFER, BROWN DISCS, nylon brushes, tynex or carbo-rundum brushes. Repeat washing if necessary. Rinse with plenty of water. • for normal washing 1 lt / 10-15 m². 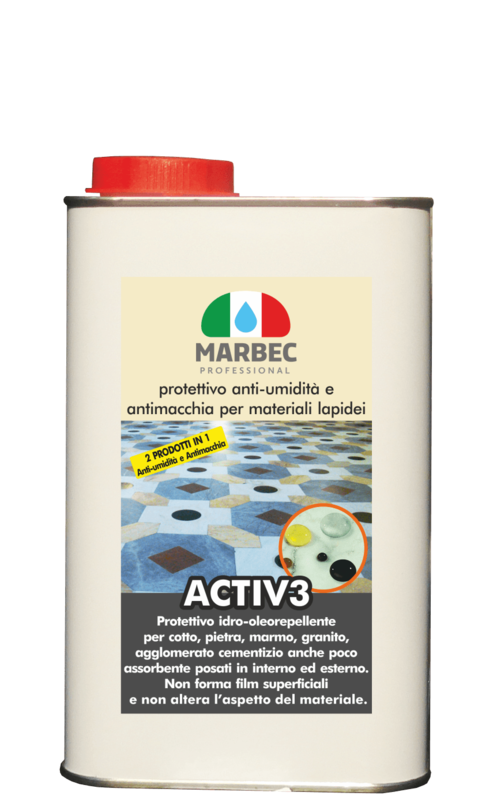 •GUARD Water-based stain-resistant protective for marble, granite, grits and compact, low-absorbency stone materials.